If you haven’t already heard we will be hosting a coffee and cake morning on Saturday 19th May. 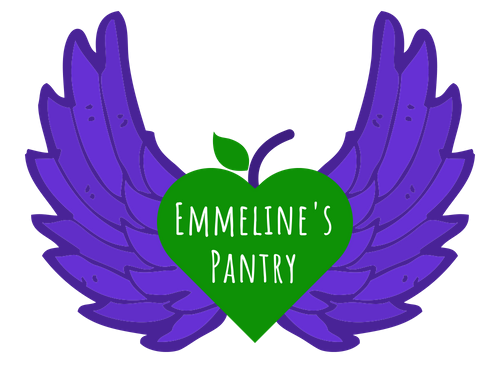 Our Annual Event, is a fantastic opportunity for all sponsors, amazing supporters to come and meet, find out a bit more about us and what we do here at Emmeline’s. There will be a chance for you to get know our other volunteers and of course some yummy wonderful cakes! We will also be hosting a tombola and table top sale with the chance of a top secret celebrity visitor for a Saturday surprise. If you have any other questions or haven’t visited us before, please get in touch: via email, Facebook or you can call us. Saturday 7th-8th July is the scheduled date for our upcoming fundraising event. We will be hosting a sponsored sleep out this summer to help and raise money for our cause! We’re planning a day full of activities and stalls, evening of entertainment and food along with great company. We are keen to have as many different stalls to help us with our fundraising so if you would be interested or know anyone that would love to help out with a stall send us a message. Either through facebook or here on our website. Please help us to make all this happen in any way you can. Any donation you can afford no matter how big or small will help us. Your pledges will go towards helping our financial wishes. £4.50 will buy a day bus ticket for a woman who cant get to us to buy food for her family. – to donate £5 a month instead of buying costa coffee. All these pledges are amazing and we can’t wait to see what we achieve. If you want to add your pledge click on the link below for the event and add your pledge. We have received some wonderful messages from our Christmas Hampers. With the help from everyone who donated to us, little or large we successfully managed another Christmas delivery to 73 women, 40 partners and 220 children! A huge thank you for everyone’s ongoing kindness. Here are some lovely, heartfelt messages from some of our service users, showing you how much your help is appreciated. We have already received so many amazing gifts but we are still collecting for our fresh donations. Imagine living in refuge with little money to support your family. Imagine with 3 children your benefits are cut and Christmas is on the way. Imagine having to flee your home late at night with only the clothes on your back and Christmas is coming. Imagine having to choose between Christmas toys for your children and heating the house for more than an hour a day. 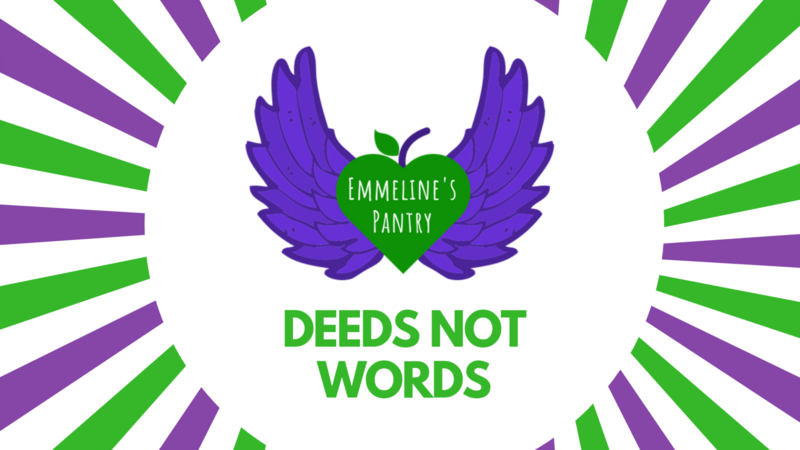 This is reality for so many women we support at Emmeline’s Pantry. Christmas is not a happy time for many vulnerable women and their families but we can help make this time of year a little easier with your help. Last December we supported 135 women and 197 children. We could not have done this without the generous donations and fundraising activities by our supporters. This year we need your help! Since January our numbers have increased and we are worried we won’t be able to support our service users. Every donation you make will provide a woman, a child, a teenager or a family with a Christmas treat. We have been so lucky this year to have been chosen by 52 Lives in their christmas project, setting up an Amazon Wish list (link here) and we have received some amazing presents. We have been absolutely overwhelmed with how generous everyone is. 52 Lives have a target of getting gifts for 1000 people and we have been lucky enough to be included as one of their chosen charities. Just two days worth of deliveries here! Our ladies and children will be so excited. A huge thank you to everyone at 52 Lives who has helped us in receiving these wonderful pressies. Follow the link to find out some more about 52 Lives and how you can help. video tells you some more about their amazing project! Today is the launch of our December appeal which we will be working on for the next 3 months. We are still collecting gifts for babies and teenagers please keep sharing, everything we have received so far has been great! Whether it’s any gift sets you have to give away, chocolates, sweets and treats, or unused gifts and games for teenagers. We couldn’t do it without your help, support and incredible donations. THANK YOU TO EVERYONE. We have received lots of amazing donations so far this month. Literature and Laughter for Ladies and Crochet & Chatter group as well as Bott & Co solicitors donated an amazing amount of babies clothes, some pyjamas and lots of gorgeous gift sets! Thank you to Gift of a Wash Kit for your amazing support and donations throughout September we are getting closer to reaching our Christmas goals. St. Crispins Church in Fallowfield donated all their harvest foods to us on Friday, which has helped us fully stock up our pantry. This week we are really lucky to be able to receive a share of the harvest food donation collected by Manchester High School for Girls so we can focus all our work on reaching our December target. Our December appeal gets bigger and bigger every year as we are rising by a massive 60 percent in referrals from 2015 to 2016. We already know the number of women and children accessing us this December will be bigger than last, so we need all the help we can get. We are preparing early which why we’ve set up our new Crowdfunding page to raise as much as we can for our December appeal. Click here to read more about it and donate! Please read our crowdfunding page, share with family and friends and give what you can. Our August collection is womens pyjamas, nighties and dressing gowns. In September we want to collect as much childrens nightwear as we can to help our appeal, please get collecting! From October- December we are aiming to collect presents for children aged between 0-1 as well as presents for teenagers (boys and girls), and any toiletries and treats for our women. We hope you can help us keep on track of our target for the busy few months! Our August appeal aim is 150 items of women’s nightwear. We are already a third of the way there with nearly 50 donations! The support has been amazing, Literature and Laughter for Ladies and Crochet and Chatter are collecting lots as we speak. The Estates team at CMFT are also collecting for us and we have also had lots of individuals promising us donations. Yesterday we heard that Soroptimist International of Manchester are pledging us 30 items of Pyjamas or dressing gowns!!!!! We are so grateful. Please keep giving, help us reach our target for christmas collections. September will be our children’s pyjamas collection, so keep an eye out! Thank you to everyone collecting for us and who has donated.